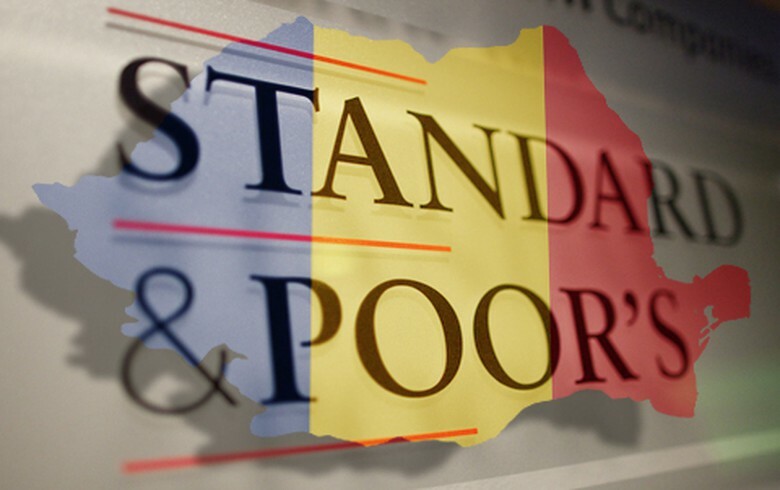 BUCHAREST (Romania), March 16 (SeeNews) - Standard & Poor's Global Ratings maintained Romania's rating at BBB-/A-3, with a stable outlook, after the Romanian government pledged it will revisit key parts of a controversial fiscal emergency decree. "The stable outlook reflects our expectation that Romania's fiscal and external buffers will be able to withstand the prospects of moderating economic growth and the potential risks emanating from the recently enacted policy package, emergency ordinance 114," S&P said in a statement late on Friday. S&P stressed it could lower the rating in the coming 12-24 months if the expected policy reversal was insufficient to avoid a pronounced economic slowdown. "Should Romania's monetary policy flexibility weaken, for example, as a result of the new tax on the financial-sector balance sheet, downside pressure on the rating would also build." In a statement issued shortly after S&P press release, Romania's finance minister Eugen Teodorovici said the rating reflects Romania's current economic reality. "This decision also reflects both the availability of the Government of Romania for dialogue and the viability of the fiscal fiscal measures adopted," Teodorovici said. On March 4, S&P has accepted Romania's request for an appeal of its credit rating outlook, while affirming its rating at BBB-/A-3. Romanian finance ministry sent a letter at the time to S&P asking it not to change Romania's outlook to negative yet, as the country needs some more time to approve the 2019 budget and assess the effects of a planned tax reform. The controversial government decree issued in late December obliges domestic natural gas producers to sell their output mainly to suppliers at regulated prices, enforces new taxes for banks, energy companies and establishes new rules for the operation of private pension funds. The fiscal overhaul was widely criticised by industries, European Central Bank, European Commission, opposition parties and by president Klaus Iohannis. The affirmation of the ratings and the stable outlook reflect our expectation that the Romanian government will likely take steps to unwind and re-calibrate parts of its package of emergency policies that it introduced on Jan. 1, 2019, as demonstrated by ongoing dialogue among domestic stakeholders to amend the construction of the financial asset tax, including plans to delink it from the interbank rate. If unaltered, we believe that the initial policy proposals could have unintended negative effects on Romania's growth, competitiveness, and public finances, as well as on the central bank's monetary policy effectiveness. Its moderate external private and public debt levels and still strong growth prospects continue to support our rating on Romania. In our opinion, the country's institutional effectiveness remains weak, however, which constrains the rating. Even though we forecast that widening fiscal and external deficits will eat into its buffers and make the Romanian economy increasingly vulnerable to slowing growth momentum, we nevertheless expect the solid fiscal and external stock positions will withstand the worsening in fiscal and external flows. We understand the government is set to comprehensively revise its recent policy package, which we think will alleviate short-term economic and financial risks. Interventionist government policies are making economic policymaking increasingly unpredictable and, if continued, could unsettle foreign investors and weaken the growth outlook. Attempts to implement legislative changes and diminish checks and balances between institutions could reverse progress made on countering corruption and diminish the independence of the judiciary. We believe that Romania's already prevailing institutional and policy uncertainty has been accentuated by the comprehensive emergency policy initiatives the government announced in December 2018 and which took effect on Jan. 1, 2019. The measures included in these policies imply in particular a series of untested sectoral taxes intended to offset the effects of recent years' generous public wage and pension hikes, because they are beginning to take a toll on the fiscal position. However, the announced measures, if unaltered, would in our view likely bear negative consequences for the real economy, public finances, and the monetary policy effectiveness. That said, we observe an ongoing and increasingly constructive dialogue between the government and domestic stakeholders about the consequences of the emergency policies, and we expect that parts of the policies will be revised. In its initial form, the proposed tax on the banking sector assets is linked to ROBOR (Romanian interbank offered rate) and exempts no assets from the taxable base. We note that this disposition would constrain monetary policy effectiveness, as well as the Romanian National Bank's ability to keep inflation under control while maintaining financial sector stability. In addition, we note that legislation to notably increase the capital requirements of pension funds and to make contributions to the second pillar voluntary could place increasing pressure on the pension system. To date, we view the policies of the incumbent government as predominantly short term in nature, focusing the available fiscal space on public sector wage and pension increases. Structural reform initiatives are lacking, meanwhile, to the detriment of the ailing infrastructure network and underperforming education system. Romania has a long history of operating pro-cyclical income policies, which, by crowding out public investment, have often interrupted or reversed previous periods of improving competitiveness. In addition, Romania continues to suffer from corruption, although the anti-corruption agency National Anticorruption Directorate has made gradual improvements in recent years. That said, controversial legal reforms to weaken corruption charges and political interference in independent institutions risk weakening the rule of law and diminishing checks and balances. In 2018, we estimate that real GDP growth moderated to 4.1% from the very high 7.0% growth rate in 2017 when fiscal stimulus and a favorable external environment combined for an economic boom in Romania. Wage growth of close to 15% (in double digits for the third consecutive year) and tax cuts continued to lift disposable incomes in 2018 while net external demand, on the other hand, subtracted from growth as domestic demand pushed up imports. In 2019, we believe that growth will slow further to 3.5% due to softer external demand and weaker private investments. In combination with rising trade tensions that could lead to a sharper slowdown in the eurozone, we consider that risks to Romania's growth outlook are tilted toward the downside. As such, while Romania's average per capita growth currently exceeds peers', we expect average growth to moderate to a more sustainable 3.0% annually in 2020-2022. Pressure on the fiscal position is building and will persist in the absence of corrective measures. Current account deficits (CADs) will likely widen to about 5% of GDP. The credibility of the National Bank of Romania remains high and the expected amendments to the new bank tax will likely assure policy effectiveness. The general government budget deficit remained below 3% in 2018, thanks to solid revenue performance, supported by high nominal GDP growth and another year of underspending of the capital budget. However, accelerated wage increases in the public sector have tilted the structure of government spending further toward inflexible social- and wage-related spending and away from investment. We consider the prioritization of consumption expenditure over investment expenditure as negative for Romania's long-term competitiveness and growth. Wages and social security contributions represent a rigid and inflexible portion of the government's expenditure, at around 60% of the total. We believe this disposition leaves the government little headroom to undertake capital expenditure, which the government forecasts will increase meaningfully in the 2019 budget. Romania's large fiscal deficit, amid very rapid economic expansion, highlights the country's vulnerability to potential external shocks and a pronounced slowdown in growth. The government's pro-cyclical fiscal policy is eroding fiscal gains hard won during the post-crisis years. We forecast that Romania's headline general government fiscal deficits will widen to 3.3% and 3.5% of GDP in 2019 and 2020. These will be a result of the weakening growth momentum and the government's spending measures as it prepares for the upcoming elections--presidential in 2019 and parliamentary in 2020. We consider as ambitious the government's aim to drastically reduce the gap between owed value-added tax (VAT) and collected VAT, the widest in the EU according to European Commission data. At the same time, cutting capital spending again could prove challenging, given Romania's acute infrastructure needs. Risks to the longer-term budgetary position are also tilted to the downside, due to uncertainty over some recent policy proposals. For example, a draft pension law has been contemplated, but the proposal in its current form was not long ago dismissed by the constitutional court and sent back to parliament for re-examination. We do not exclude that this or another version of the proposal would re-emerge, however, and if it is pursued in line with the government's initial intentions, it would likely result in a notable increase in the pension bill in 2020 and thereafter. Such reform initiatives would suggest that short-term political gains could continue to influence fiscal strategy and direct allocations from the capital side to the current spending side of the budget. Moreover, within its 2018 emergency policies, the government made contributions to the second pension pillar optional, which has unlocked flows to the tune of 0.8% of GDP into the budget, while partly diluting the long-term sustainability of the pension system. We believe the pressures on Romania's budget will persist over our forecast horizon through 2022. At the same time, we observe Romania's membership in the EU as an important policy anchor. We note the authorities' strong commitment to the general government deficit remaining below the Maastricht Treaty's deficit ceiling of 3% of GDP, partly because a breach could jeopardize Romania's access to EU structural funds. Romania's public debt burden remains modest in an EU comparison. In line with our deficit forecast, we expect Romania's general government debt will gradually increase to a still moderate level of slightly below 40% of GDP by 2021. At the same time, the debt profile remains constrained by a relatively high share of foreign currency-denominated debt, as well as the domestic banking sector's high exposure to the government. We anticipate that pressures on the current account will continue to build through 2022 as government consumption and overall domestic demand keep driving imports. Together with slowing exports, this will widen the deficit. We forecast the CAD will remain around 4.5% of GDP on average through 2022. Positively, we observe that the funding of the CAD stems to a large extent from stable, non-debt-creating inflows. For this reason, Romania's external debt net of liquid external assets, our preferred measure, will remain relatively low at around 30% of current account receipts (CARs). While we assume that net foreign direct investment will still cover a significant part of the external deficit in the next few years as existing foreign investors keep re-investing earnings, we note a lack of foreign greenfield investments, suggesting that investors might be increasingly concerned about the rapid wage growth, lack of infrastructure development, and persisting political and policy uncertainties. Romania's predominantly foreign-owned banking sector remains sound, in our view. The system's loan-to-deposit ratio had declined to about 80% at year-end 2018 from its peak of 137% in 2008. Lending growth has remained positive for the past two years, with loans to households and loans denominated in Romanian leu increasing strongly. Credit growth was meaningfully supported by mortgage loans that benefit from the government's Prima Casa program, designed to support first-time homebuyers through a 50% guarantee by the government. Nonperforming loans have shown an impressive decline, reducing more than threefold to less than 5% of total loans by Dec. 31, 2018, from over 21% at midyear 2014. Liquidity and solvency ratios remain strong. Banks have maintained their profitability despite low interest rates. Romania continues to operate a managed float of the leu under an inflation-targeting regime, with a target for inflation at 2.5% with a variation band of +/-1%. Surging inflation since the fourth quarter of 2017 prompted the National Bank of Romania to take assertive action, hiking rates three times in 2018 by a total of 75 basis points. These actions appear to have curbed inflation after it hit a 5.4% year-on-year peak in May. We expect inflation to average 3.5% over 2019, not least thanks to lower global energy prices. Over 2018, the central bank's rate hikes and its firmer control over the liquidity in the banking system sustained the leu exchange rate, which, in contrast to regional peer currencies remained largely stable and avoided depreciation. We observe that some foreign currency reserve outflows probably helped the leu in 2018."